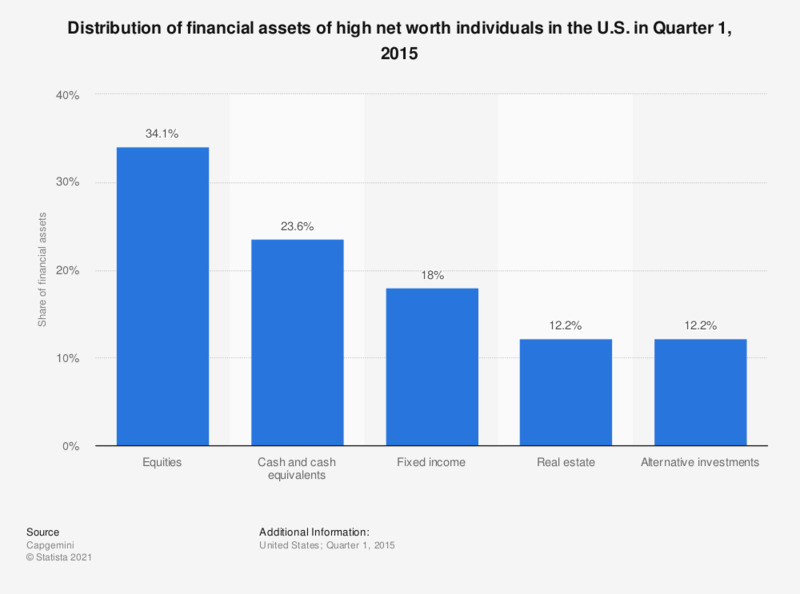 This statistic shows the distribution of financial assets of high net worth individuals (HNWI) in the U.S. in the first quarter of 2015. In quarter 1, 2015, HNWI had 34.1 percent of their financial assets in equities. HNWIs are individuals with more than $1 million in financial assets.